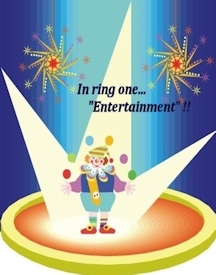 A four ring circus in Glendale? I suspect by now everyone has learned of Mayor Weiers’ idea of splitting the lease management agreement for Jobing.com Arena into 4 separate management agreements. One would be for “entertainment”. I assume it means non-hockey events. The second would be hockey. The third would be “education”. Your guess is as good as mine as to exactly what that means. The fourth would be “cleaning”. 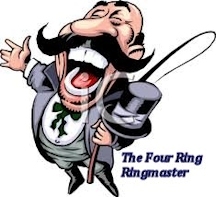 So now the arena would have 4 managers…er, czars. Lots of generals and very few, if any, soldiers. Picture this. Hockey plays on a defined schedule. The entertainment czar has a dispute with the hockey czar or education czar because there is a conflict as to who gets what night. Or there’s a conflict between the entertainment czar and the cleaning czar because the floors are sticky from soda residue or the restrooms are not spiffy. Does the NHL reschedule the Detroit Red Wings or others until the 3 other czars have reached resolution of the disputed issue? What to do? Call in a mediator? My goodness it could take weeks, possibly even months to settle disputes. In the meantime, the place gets dingier and nights go unused by anyone. Is this any way to run a business? And of course, the larger question is – to what purpose? This situation calls for a czar over all the czars and the creation of yet another layer as a manager to manage the four managers would then be needed. So now Glendale would have 5 contracts to award rather than just one. Spreading the largess in a greater…well…arena, so to speak. Remember what Anthony LeBlanc said to the media not too long ago? He said the deal to be attractive to a potential buyer would have to be very similar to the deal that has been on the table. Sounds to me as if he’s referring to the Jamison deal. Why 4 separate management contracts? The speculation abounds. One theory is that it is a means of courting more councilmember support for a deal. The award of an education contract may satisfy Councilmember Chavira who is big on education. So big he ran on improving education not realizing the City of Glendale is separate from Glendale school districts and has no control over them. Remember his campaign pledge to work to “fully fund Head Start,” a federal program? Having educational opportunities at Jobing.com arena might assuage that embarrassment and do the trick. Although Glendale taxpayers are probably not in the mood to fund yet another city fiscal responsibility not specified in the City Charter. Then there’s the entertainment contract award. Remember the Phoenix Monarch Group (PMG)? Councilwoman Alvarez brokered a meeting between them and the former Mayor Scruggs and Former Councilmember Lieberman. Opening the door for them to bid may cause Alvarez to move away from her staunchly negative position on any deal for the arena. There may be a certain appeal to the idea of offering 4 arena management contracts for the Mayor. For during his election campaign just a short 3 months ago his position was that the only way the team could stay was if it didn’t cost the taxpayers of Glendale. He’s made it quite clear that he thinks the Jamison deal was bad for Glendale taxpayers and the only good deal is one that doesn’t hurt them. He’s put himself in a position making it difficult for him to support Mr. LeBlanc’s assertion that any new deal that works would have to be very similar to the Jamison deal. Or by way of another theory, perhaps it’s his way of signaling to all that he is, indeed, in charge. After all, he needs to place his imprint on some issue to demonstrate that he is king…er…president…er…chief. Well, at the very least that he is the boss. This entire scheme appears to be unorthodox… in fact, quite bizarre…but who knows? Stranger things have happened in Glendale. Wow. This is just…. Wacky. Untenable. Unattractive. Built-in Dysfunctional. Im all for thinking outside of the box, but this? No, no way. The Arena Management Contract simply must be enjoined to the anchor tenant, obviously in the case the Coyotes, otherwise its just not on. They need those revenue streams, Concerts & Events etc. The business model all NHL teams work under and with. Simply ridiculous. Absurd. At a loss for words. Really enjoying this blog. As unappealing as the mental image is, this is the Emperor and Empress sans apparel. Let’s face it: These rubes ran on the presumption the arena deal was a lock. They crafted their campaigns and strategies at fighting “the man” (whether that be Jamison or George Fallar). Now that they hold the keys to the kingdom, and the deal was not sealed, they are in the untenable position of having to deal with the likelihood that under their reign, the dogs become frogs. Weiers is utterly delusional if he believes for one second he’s going to craft a deal better to COG’s advantage. Clearly being a career politician has rendered him bereft of any knowledge of business. The Jamison deal is where new negotiations START. It has to be sweeter in some respect to get someone to move on this nightmare. And as for having an entertainment czar? The lease is punitive via the Aramark Services portion that I am lead to believe ties them to the buildings future for at least another 8 years. Can that even be modified if there are different entities under this folly of an umbrella where Jobbing becomes a Time Share? If the team leaves, and that is about a 90% eventuality at this juncture, that arena is DEAD in the water (so to speak). Goldwater will have won what they sought all along without ever firing the proverbial litigious shot: Turning Westgate into a ghost town and bringing all the entertainment business to their political and investment cohorts at CityScape. NO independent (and independent of the hockey team) management company is going to be able to make a profit with Jobbing. NO promoter is going to risk booking out there once the Westgate eateries start to close (and file their lawsuits against COG). What once was a destination entity, be it for the venue, event support (dining and even lodging) and a safe and secure premises will rapidly decline into an unappealing blight that will also reflect poorly on Tanger. Sarver and Kendricks will be dancing jigs of delight. ALL the venue business requiring a building that is arena-sized will migrate to downtown Phoenix. And there haven’t been but 15-20 such event dates per year needing such a building. AND, USAC (or whatever it will be called post-merger) can make ice for Lieberman’s / Alvarez’s / Darcy Olsen’s defunct Ice Capades. COG is really in a jam, and the braintrust now ensconced at COG City Hall will ultimately make Scruggs look like the genius she never was nor is incapable of becoming. Paying on that empty building (and the water bill for it….if you’re reading this, Box Car Kenny) for the next 20+ years will be quite the legacy for Weiers and Alvarez. Say Norma, why don’t you have another cupcake? Has anyone suggested to the mayor that this idea has no clothes? This idea has to be abandoned or any new prospective buyer is a nonstarter. Westgate as ghost town is a sad prospect but I fear that its in our future. Completely agree Joyce, Rod, and brilliant post Schumi…. the very concept is beyond preposterous. The lack of critical thought & understanding just appalling. As I said earlier, at a loss for words really. What is really befuddling about this is Weier’s proposal would potentially increase the overhead in operating the arena. It doesn’t take a business genius to figure out that one medium sized company can perform more efficiently than four separate smaller ones. To me this proposal is nothing more than setting up a back scratching session between the mayor, a certain couple of council members and their “friends”. Well that just it TL. Its a facile attempt to be all things to all people. Management by Special Interest Group & Committee that could only come from a Career Politicians’ mind seeking Consensus. Its absolutely bizarre. No founding in reality, no understanding of even the most primary foundations upon which… just…. I dont know. Naive? Why would you even go there unless pandering? Add layer upon layer of impracticable & for sure very expensive management & oversight? Its not even remotely a solution, quite the contrary, its a one way ticket out of town. No one in their right mind even touches that suggestion. I mean honestly. Maddeningly annoying, these flights of fancy. The sale & ongoing operation of the franchise and arena management contract are enjoined. Twinned. Full stop. You cant butter your bread on both sides. Sorry. Not allowed. How to drive away any interest at all… just… breathtakingly stupid.